Headquartered in Seattle, Washington, Amazon is the world’s biggest online retailer. The company also claims regional branded sites based around the world, as well as a number of subsidiary retailers, its own consumer electronics range, and a cloud computing platform. Hundreds of thousands of retailers, from the United Kingdom to Brazil, and the United States to Germany, sell their products directly through Amazon, or use their own branded storefronts, supported by Amazon’s payments and logistics services. If you plan to source your products wholesale through companies such as SaleHoo and to sell them to the public to generate a healthy profit, Amazon can offer you a vast and active international customer base, ready to consume your products. Selling via an Amazon site has many advantages, including your ability to reach an international market and paying a commission only when you actually make a sale. If no one buys your products, you pay nothing. Amazon handles the payments, relieving you of the responsibility for credit card security and giving buyers peace of mind. The sheer number of people selling on Amazon, and the variety of goods available, means the site is the first point of call for many people shopping online. If you have a niche product, or a particularly competitive price, you can capitalise on this volume of consumers. To start selling on Amazon, you need to register an account. It is free, fast and easy, and you can register online at www.amazon.co.uk. If your principal region of business is outside the UK, you should consider registering via the most relevant local domain, be that www.amazon.com, www.amazon.fr, www.amazon.co.jp, or one of the dozen or so other options. You need to register a seller account rather than a general customer account. There are two types of seller accounts, depending on the amount of goods you expect to sell. The basic account allows you to list products in 20+ Amazon product categories with a per-item seller fee (starting at £0.75 + VAT). The pro account, designed for full-time online retailers, allows you to list products in a greater number of product categories, lets you load and track inventory in bulk, and makes you eligible to be a featured seller. The pro account charges a monthly subscription (currently £25 per month), plus a small per-item seller fee. You can cancel your subscription at any time, and it is also relatively straightforward to upgrade from a basic to a pro account. Providing you and your products meet local market requirements, if you register on one European Amazon site, your inventory will be available on all the European marketplaces. This saves you a great deal of time and effort, as you will not have to upload products to each local domain individually. If you have a pro account, your subscription rate will be based on your home marketplace. To pay your seller fees or pro account subscription, you will need to link your bank account to Amazon. Unless you specify otherwise, your payments from Amazon will be paid into the same account. You will need to give your bank sort code and account number: Check that the details are correct. What should you sell on Amazon? You have seemingly infinite choices, but SaleHoo is on hand to help you. You can browse SaleHoo’s product categories for ideas and then check the viability of different products using SaleHoo’s Market Research Lab. Once you have selected your product (or products), you can buy them from SaleHoo-listed suppliers, all of whom have already been verified as legitimate. You are now ready to add your first product listing to Amazon. Every product you want to sell on Amazon must have a unique listing. As this is your advertisement to the world, it is worth taking the time to get the wording, price, and image selection right. You are not able to alter the layout of your advert or the colour scheme: everything is fitted in to a pre-defined Amazon template. When you first start selling products on Amazon, writing the product listing may well be one of the most labour-intensive tasks you do, but it will become faster and easier once you have practised. The most important aspects to catch a potential buyer’s attention are your product title, and the image you use to sell it. Pick a title that is short and catchy but that says exactly what you are selling. Rather than saying, “Great new Dr. Dre headphones from China”, advertise your product as “Beats by Dr. Dre Studio Headphones – Black”. If your title matches buyers’ search terms, which usually includes the make and model number, they are more likely to click on your listing in the product search results. When it comes to pictures, you have a number of options. The manufacturer or wholesaler may well provide images that you can use for publicity and sales purposes. They are therefore suitable for brand new products, especially if you have multiple units. If not, you will need to take your own product photos. Check the category you are listing your product in: Some categories only permit one image, others will allow you to have one main image and up to eight alternative images. Take several photos from each angle and only upload the best images. If you are going to edit your photos using Adobe Photoshop or other software, you should only use it to crop the background out of the image, or re-orient it. Do not make any changes that could mislead buyers, or you could later be accused of deliberate misrepresentation. Regarding the information you list about the product, you should express your points clearly and succinctly. Think carefully about the details the buyer will want to know. Fill in all of the product specifications, and an indication of what it is suitable for (if applicable). Be honest, and look at other similar listings for inspiration. For some products, including books, you may have the option to add quotes from reviews (for example from magazines), or answers to customer questions. If you have these options, take advantage of them, as they can be effective selling aids. 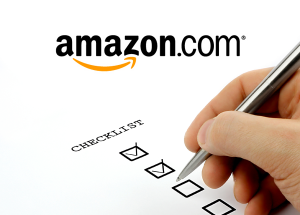 When a buyer purchases an item on Amazon, they are given a set rate for postage. This is determined by Amazon and is linked to the type of product: the postage price for a DVD will be less than the cost for a hardback book, for example. Products sold directly by Amazon, or sold by third-party sellers who use Amazon’s fulfilment service (see below) are permitted to charge lower postage rates than third parties who post their own products. If your product is exceptionally heavy or bulky, or requires special protective packaging, and therefore will cost more to deliver than the set Amazon rate for that product category, you need to factor this in when setting your product retail price. You should be competitive in your pricing, but if you are taking a loss on every unit, it will quickly destabilise your business. Make sure that your delivery costs cover not only the postage or courier fees but also the price of the packaging materials. For small, low-value items, use an envelope or small padded envelope. For larger or more delicate items, you need bubble wrap or other protective materials in addition to a sturdy box. Buying such items wholesale (consult SaleHoo for reliable, affordable suppliers) is more cost-effective than buying them one at a time from a local store or supermarket. If you do not have the space to hold a lot of inventory, or you are uncomfortable with overseas deliveries, you might want to consider using Fulfilment by Amazon (FBA). You can send your products in bulk to an Amazon fulfilment centre, where they will store them for you. When a customer buys your product, Amazon will pick, pack and ship the order anywhere in the European Union. The FBA service is fully integrated with your Amazon account: It works on a pay-per-use model, and there is no minimum inventory requirement. What is more, your items become eligible for Amazon’s Free Super Saver Delivery and Prime 1-Day Delivery, making your products more competitive. Once your account is up and running and you are making sales, you need to manage your account. Keep your contact details up to date in case buyers need to contact you, and respond promptly to their queries. If you are posting the products yourself (as opposed to using Amazon’s fulfilment service), make sure you dispatch them in a timely fashion. The feedback buyers give you is an important part of the buyer-seller relationship, and the basis on which Amazon assesses your performance as a seller. The star rating and comments you receive for each transaction will be displayed for future buyers to see. As many of the reviews will refer directly to the products you are selling, they will in large part inform shoppers’ decision to buy your products. You therefore need to make the buyer experience as positive as possible, and swiftly and professionally respond to any complaints. Amazon offers you and your buyers fraud protection and an A-Z guarantee, which covers products which never arrive, arrive broken, or are not what was ordered. You are expected to attempt to resolve the situation with your buyer through the Amazon feedback system. Only once this fails should they resort to contacting Amazon. If Amazon receives a claim from your buyer, they will send you an automated message and decide how the claim should be settled. This may include reimbursement of the order value to the customer, at your expense. Make a success of online selling! This entry was posted in Education on April 14, 2015 by simonslade. eBay is one of the most successful online retail outlets in the world, and thousands of sellers now make their money running shops through the site. You can source your products wholesale through companies such as SaleHoo, and then sell them on to the general public through eBay, generating a comfortable profit as a result. Selling on eBay has many advantages, including reaching an international market and paying a commission only when you actually make a sale. If no one buys your product, you pay no fees. The listing fees are small, and the total fee you pay is based on a percentage of the final sale price. Every product listed on eBay is added to the site via a standardised form, giving consistency in appearance and making sure that it is easy for buyers to find what they are looking for. Buyers trust the eBay brand, and its partner payment system, PayPal, so they make purchases with confidence. To start selling on eBay, you need to register an account. It is free, fast and easy, and you can register online at www.ebay.co.uk. The first decision you will have to make is whether to register an individual or business account. If you are intending to re-sell large quantities of goods online, a business account is best because there are no restrictions on the number or value of items you sell each month. You will also be able to display your business name in addition to your eBay username. If you are unsure, register an individual account first. You can always upgrade to a business account later on. It is not possible to do the reverse. PayPal is eBay’s preferred payment method. It keeps buyers’ card or bank details secure when they are making purchases, giving them peace of mind. You will need to sign up for a PayPal account (if you don’t already have one) separately from your eBay account. In addition to your personal details, you will also have to provide PayPal with your bank account details so they know where to deposit funds. Part of this process is phone verification; alternately, they may send a small payment to your account and ask you to check it has arrived via your online banking account. To link your PayPal account (new or existing) to your eBay account, sign in to your eBay account and click on the Account tab, followed by the PayPal Account tab. You will then see a Link My PayPal Account button. Click this, and enter your PayPal login details when prompted. Your two accounts will now be linked. Once both your eBay and PayPal accounts have been verified, eBay will allow you to list products on their international sites, and may provide you with a higher seller limit. PayPal will increase your sending and withdrawal limits, and you will have increased credibility with eBay buyers. eBay buyers expect their questions to be answered quickly. You can minimise your response time and workload by setting up automatically generated answers to certain questions, such as “Do you accept returns?”, “How long does UK delivery take?” and “Can I collect my item in person?” It is worth taking the time to do this before you add your first product listing, and make sure that the answers are applicable to as many products and scenarios as possible. Remember that if the answer does not fully answer the buyer’s question, they will still contact you for more information. Respond quickly and on an individual basis. What should you sell on eBay? You have seemingly infinite choices, but SaleHoo is on hand to help you. Using SaleHoo’s Market Research Lab, you can identify products that are currently selling well on eBay and see what kind of profit they are likely to make you. Once you have selected your product (or products), you can buy them from wholesalers in SaleHoo’s directory, confident in the knowledge they have already been vetted. You are now ready to add your first product listing to eBay. Every product you want to sell on eBay must have a unique listing, and as this is your advertisement to the world, it is worth taking the time to get it right. When you first start selling products on eBay this may well be one of the most labour-intensive tasks you do, but it will become faster and easier once you have practised. The two most important characteristics of an eBay listing are that it is eye-catching and informative. It should be eye-catching to encourage would-be buyers to look at your product, and informative so that all the information the buyer needs is in a single place, reassuring them that the product you are selling is the one they need and want. When it comes to pictures, you have a number of options. The manufacturer or wholesaler may well provide images that you can use for publicity and sales purposes, and they are suitable for brand-new products, especially if you have multiple units of the same thing. If the manufacturer or wholesaler does not provide you with images, and what you need is not available with a creative commons license, you will need to take your own product photos. If you are selling an item that is second-hand or that has some damage or defect, you should also supply your own images of the specific item you are selling. You don’t need a professional camera to take good photos for eBay: a good quality smartphone or point-and-shoot will be good enough. There are, however, a few things you can do to improve the standard of your photography. If you are going to edit your photos using Adobe Photoshop or another software, you should only use it to crop the background out of the image, re-orient it, or correct the lighting. Do not make any changes that could mislead buyers, or you could later be accused of deliberate misrepresentation. Regarding the information you list about the product, you should express your points clearly and succinctly. Think carefully about the details the buyer will want to know. You should include the product specifications, an indication of what it is suitable for (if applicable), and its condition. Look at other similar listings for inspiration (but never copy verbatim from someone else). You can use bullet points to draw attention to specific pieces of information, but don’t get too carried away with this, or your listing will look messy. Don’t forget to mention whether you offer shipping discounts for buyers ordering multiple items. Tell buyers if the item is available in different colours, designs or sizes, if you also sell compatible items, or if your product is part of a matching set. When you are pricing your products and writing your online selling plan, don’t forget to factor in the delivery prices for different destinations. eBay offers a helpful online tool for you to estimate the postage costs, but you will need to enter the package’s weight, dimensions, destination country, and, if you want it to be insured, the value. You will be given different delivery time options at different prices; you can offer more than one option to your buyers. If you are hesitant about handling the paperwork for international delivery yourself, eBay does offer a Global Shipping Programme. If you use this system, you will only need to send your products to a UK-based service centre, and they will then fill in all the requisite forms and deflations, and forward it overseas on your behalf. You pay only for postage to the service center; eBay will collect the international delivery fees directly from the buyer. Make sure that your stated P&P fee covers not only the postage or courier costs but also the cost of the packaging materials. For small, low-value items, use an envelope or small padded envelope. For larger or more delicate items you will need to provide bubble wrap or other protective materials in addition to a sturdy box. Buying such items wholesale (consult SaleHoo for reliable, affordable suppliers) is more cost-effective than buying them one at a time from a local store or supermarket, and you will always have materials ready for when you need them. Using quality packaging that looks good and protects your products in transit will give customers a good first impression of your product, and consequently it will improve your customer service rating. Once you are set up and making sales, you need to manage your account. You should make sure that your contact details remain up to date in case buyers need to contact you, and respond promptly to their queries. Send products out in a timely fashion. The feedback you give to buyers, and which they give to you, is an important part of the buyer-seller relationship. The star rating and comments you receive for each transaction will be displayed for future shoppers, and in part inform their decision to buy your products. You therefore need to make the buyer experience as positive as possible, and swiftly and professionally respond to any complaints. If a product arrives damaged, or the wrong item has been dispatched, take responsibility for the mistake and either ship a replacement product or refund the buyer in full, including the shipping charges. This level of customer service will leave you in good stead in the long run. 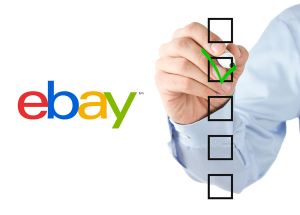 In your eBay account, you will find a summary of all your past transactions, including the sale prices you have achieved at auctions. This is an invaluable resource, so look at it regularly. Compare your prices with your original estimates to make sure your online business plan is on track. Be prepared to update your plan if necessary. If a particular product is selling particular well, consider stocking similar items: browsing relevant SaleHoo categories will give you ideas about what else you can sell. A key part of business is picking the right product at the right price: Only then will you be able to sell it to your customers at a profit. With millions of products online, selecting which products you want to sell can be quite a bewildering affair. If you can, it is best to choose products that won’t quickly go out of fashion, that are inexpensive to deliver, and that you can re-sell with a hefty markup. We have picked out 44 great ideas from SaleHoo to get you started in online selling. Every parent and grandparent wants to buy their new arrival baby-grows, booties and other cute outfits. Babies grow out of their clothing fast, so make sure you have got plenty of sizes in stock, and source a variety of gender-neutral colours and styles for newborns so customers can shop confidently even before baby arrives. Bought at retail prices, printer ink must be one of the most expensive liquids on earth. You can make a healthy profit, and still pass on a saving to your customers, by buying branded and generic ink cartridges in bulk. Pick cartridges that are compatible with a wide range of printer models to maximise your potential customer base. As an online retailer you can hold a far wider selection of stock than a high street store. Source high-priced kitchen goods that can be cheaply and easily packaged: stainless steel chef’s knives are an ideal option. Few parents have time to make a fancy dress costume from scratch. Capitalise on this by stocking a range of costumes, themed for different holidays and events, and promote them heavily in the run-up to Halloween, Christmas, etc. Don’t overlook the boring products! Plastic plant pots are stackable and light to package, yet sold individually can earn you a good markup. Everyone’s car and house smells now and then, so take advantage of the need for affordable air fresheners. Pick odour-neutralising sprays and gels rather than those that are heavily scented so that your business isn’t affected by people’s personal fragrance preferences. Every single light fitting seems to demand a different bulb, and you can never find the bulb you need in a store. Stock a wide selection online and you’ll ensure you’re the first point of call whenever a light bulb blows. Baking trays pack flat, so you can store and deliver them cost-effectively. Every oven needs a tray, they have to be replaced when the non-stick coating is scratched, and there is no particular product style, so they can’t go out of fashion. Paper is cheap as chips to produce, but somehow between the factory and the shop floor, notebooks and other stationery items explode in price. Make sure you are in on the act, and run ‘back to school’ promotions to shift your stock before the new school year begins. Whether it is for parties or for picnics, or simply mopping up a mess, paper napkins are always in demand. Stock a mixture of seasonal and plain-coloured products to ensure you have something suitable for every occasion. Ski socks are the ultimate anti-fashion item: the gaudier the colour and more hideous the pattern, the better they seem to sell. Time your order carefully to buy wholesale ski socks in the spring, when suppliers are dumping stock, then hold them until the ski season begins. Arts and crafts items are perennially popular, and brushes, palettes, paints and inks are always in high demand. Select mid- to high-quality brands that customers will recognise, and ensure you have a wide range of items for them to choose from. Whether it’s for the gym, a picnic, in the car, or to go with a kid’s packed lunch, everyone needs a drinks bottle. They frequently get lost, start to leak, split or develop a bit of an odor, so you’ll have a constant stream of customers wanting to buy this product. Camera cards are exceptionally high-ticket items given their production costs and size. You can order a large number from your wholesaler cheaply, and post them individually to customers in ordinary envelopes, maximising your return. As with artists, knitters will pay a premium to get what they need. Few local stores now stock a range of wool, so online retailers can do well selling wool, needles and patterns to keen knitters around the world. Any kind of sports accessory does well online, but you should avoid the high-ticket electronic items, as these will quickly be replaced by newer models. Stick with something simple like swimming goggles, swimming hats, or snorkels. Everyone loves a party, whatever the occasion, and that means there is always a demand for party decorations. Most decorations are designed to be disposable, so your customers will be back again and again, for birthdays, Christmas parties, Valentine’s Day, etc. The fashionable colours of lipstick and eye-shadow change with each season, but mascara is (almost) always black. Pick high-quality, well-known brands so your products will be familiar to customers and safe for use near eyes and sensitive skin. There’s a huge markup on weed killer and other garden chemicals, so if your customers are keen on gardening, this is a worthwhile market to explore. Make sure that any chemicals you import are legal for use in the UK. A rainbow selection of nail polishes is cheap and easy to import, and it is a photogenic product to market. Anticipate the coming season’s hottest colours, but remember to keep basic reds and pinks in stock too. Health supplements, and especially vitamins, sell well online as customers can browse online reviews from other users, then buy the product for a competitive price. Make sure that the products you choose are genuine and approved for sale in the UK. Generic car bulbs, especially for head lamps and brake lights, are very cheap when purchased wholesale but command a hefty retail markup. They need to be transported carefully to avoid damage, so factor this into your costs. Pet food is not expensive but bulky and heavy, so customers prefer to order it online rather than have to drag tins and bags back from the supermarket. Choose recognised brands to keep your customers (and their pets) happy. From nicotine gum and patches to e-cigarettes, the market for aids to help people give up smoking is huge. Keep your eye out for the next big thing, or keep things simple and offer tried-and-tested products at a competitive price. Kitchen tiles, floor tiles and patio tiles all need to be delivered from a warehouse, and online retailers have a price edge over their high street counterparts. If you don’t have space to store your stock, consider dropshipping options. Solar-powered LED garden lighting and similar systems are nearly all manufactured in China, so cut out the middlemen and make money by buying your stock direct. House paint colours go in and out of fashion, but white is always white, and no one wants a pink ceiling. Consider stocking white gloss, sandpaper and dust sheets, too. There is a strong market for cosmetics and hair products, especially branded items. Choose good-quality products that have been properly tested to ensure they’re safe to use on delicate skin and will not damage hair. Carpet colours and patterns go in and out of fashion, but products such as underlay and gripper are constantly in demand and you can negotiate excellent rates for wholesale purchases. Babies get through vast quantities of nappies, and their bulk means that high street retailers have to charge a serious markup to justify their space on the shelves. Online retailers can substantially undercut the high street on cost, keeping parents happy. DIY products are an easy sale online. Per-unit prices are low, they are easy to deliver, and there is a constant stream of customers renovating their houses or simply touching up the paintwork. You can’t compete with record companies on music sales, but you can piggyback on the music industry by selling headphones and other accessories. Keep abreast of market trends to ensure you have the latest and greatest products to sell. Car batteries aren’t complicated, but boy do they cost a fortune if you have to get one from your garage. Pick a recognised brand and standard sizes to maximise your pool of potential customers, and be sure to factor in delivery costs. Wholesale leads, collars, coats and toys are cheap to buy, but customers will pay a pretty sum to keep their favourite pooch (or cat) looking chic and enjoying themselves. Make sure the items are of good quality so that pets and children won’t hurt themselves on broken parts. Even a shipment the size of a shoe box can contain 1,000 watch batteries, so if you are looking for something small with a tiny unit price, this may well be the product for you. Few things are more infuriating than losing a hubcap, and you can become a motorist’s knight in shining armour by supplying replacement parts. Be prepared to stock a wide range of products, and to sell individual hubcaps as well as sets of four. There is a never-ending demand for disposable razors, and by buying them in bulk and selling them on to consumers, you can earn a healthy profit. Stick to the best-known brands (everyone has their favourite), and stock razors for both men and women. Order your wholesale stock of sunscreen in the winter, and hold it for the summer months when customers are ready to buy. Remember SPF 30 is best for children. Don’t overlook basic products such as masking tape, Cellotape and string. Everyone uses them on a regular basis, and selling online you can price these items very competitively. They never go out of style or date, so you can buy large quantities and hold them until they all sell. Whether people are moving house or storing stuff in the garage, they need storage boxes. Small quantities of boxes command a substantial premium, but you can order them in bulk cheaply and store them flat in your warehouse. Geometry sets, pencil cases and other ‘back to school’ items are always in demand. You can sell such stationery items individually, or package them yourself to add value and differentiate your offering from that of other online retailers. LED bulbs last substantially longer than their conventional counterparts, and so are ideal for torches. Market these products for camping and other outdoor activities, as well as to keep in the car or house for emergencies. Coloured and patterned papers for scrapbooking sell well to avid crafters and command retail prices well above the wholesale paper prices. You can buy pre-mixed packs, or increase your profit margin by purchasing individual colours and patterns and mixing and then re-packaging them for sale. Glass jars and metal storage canisters have a multiplicity of different uses around the home and workplace. Customers normally only buy a couple at a time, but by buying wholesale from China you can negotiate favourable per unit prices, making an attractive profit when you re-sell. Have you found your inspiration yet? All of these products, and plenty more, can be sourced through SaleHoo‘s verified suppliers. You’ll also find other resources to help you along the way. Start browsing today and accelerate your online selling journey. This entry was posted in Education on April 6, 2015 by simonslade. Congratulations! You’re starting out in business, or reaching out to new suppliers, and have decided to look for partners in China, one of the fastest growing economies in the world. The country is a manufacturing marvel, and unit prices are often a fraction of those elsewhere. However, if you are going to take advantage of this and reliably and legally turn it into profit, you need to do your research thoroughly, plan carefully and jump through a few bureaucratic hoops. This guide is designed to talk you through the most important steps and provide practical information about what you can expect and the pitfalls to avoid. Read it first for an overview of the topic, then check back for specific details as you work your way through the process. Start with thorough research and ask yourself plenty of questions. What am I going to import and in what quantities? How does this product fit with my overall business strategy? What unit price am I prepared to pay? What should I budget for postage and customs duty? You need to understand clearly what you are trying to achieve, and how you are going to make it a reality. Lack of research and planning is a key cause of failure in new businesses. When you are sure about what you want to import, you need to find a reliable supplier. This has to be someone who can not only provide you with the right product at the right price, but do so consistently over an extended period. You don’t want to find that your best-selling product suddenly stops being available, or that your supplier doubles the price, leaving you high and dry. Unless you have a specific supplier already in mind, start by looking at sellers on SaleHoo, an online directory of verified wholesales, manufacturers, liquidators and drop-shippers created to serve the needs of online sellers. The site also serves as a community hub, teaching you what to know as an online retailer. As all the suppliers are individually verified by SaleHoo, it significantly reduces the likelihood of getting caught up in a scam or receiving poor quality goods. The site receives exceptionally positive BBB reviews on TrustLink. Short list suppliers which can provide you with product samples quickly and cheaply, and prioritise those who offer PayPal as a payment method (see below). Get samples from several different suppliers and compare them critically. Check the product quality, make sure it is suitable, and find out whether any subcontractors are involved in the supply chain. Price, customer service, speed of delivery and product quality should all be important factors in your decision making process, but so too is the gut feeling about which company you want to work with. When you do make a first order, make sure it is relatively small and check the delivery to ensure that the products match your sample. The Chinese have been trading for thousands of years, and they’ve survived in business because they are good at it. Be prepared to haggle, and haggle hard. This doesn’t always come naturally to Westerners, but you should always be prepared to walk away from a deal that doesn’t suit you, and expect your partner in the negotiations to do likewise. It’s nothing personal, it’s business. Business relationships are very important in China, so to get the best deal you need to invest time and effort getting to know your supplier. For high-ticket orders, this could include meeting in person in China and looking around the factory or warehouse, but even for smaller deals, you’ll need to be prepared to make several phone calls and engage in email conversations. If you can learn a few words of Mandarin, even a basic greeting, this will put you in good stead as it shows you are reaching out. The Chinese aim to build what is referred to as guanxi, a combination of social and business relationships based on mutual interest and benefit. Understanding your own strengths and areas of flexibility, as well as those of your supplier, can help you negotiate a good deal. If you have cash in the bank, offering prompt payment (e.g., payment on delivery as opposed to after 30 or 60 days), for example, would be an attractive proposition for most suppliers, and may enable you to negotiate in exchange a reduced price per unit. Contract law is a relatively new concept in China, but this makes it even more important that you set out exactly in writing the payment and delivery terms that you have agreed upon. These should include not only the price for the goods, but when the payment should be made, in what currency, and by which payment methods. If fees will be incurred during the transfer, you need to specify whether it is you or the supplier who will pay them. Mandarin is still the main business language in China, and although the person you are dealing with may speak reasonable, or even good, English, it is unlikely to be their first language. This should be taken into consideration. Use Incoterms (International Commercial Terms) in your contract to help reduce the risk of misunderstandings. These are internationally recognised standard trade terms set out by the International Chambers of Commerce (ICC), and the latest version came into force on 1 January 2011. The terms are there to help you. Your supplier will be familiar with the terms and reasons for using them, so it is a win-win situation. One final issue to clarify in your contract is which country’s legal system will be used in the case of a dispute. English commercial law is internationally recognised and widely respected, and so if your supplier is prepared to specify the UK as the legal jurisdiction for the contract, that is the ideal option. When starting a new commercial relationship, especially with an overseas company, payment security should be at the forefront of your mind. The wholesale industry is plagued with scammers, so buyer beware! Do your due diligence before sending money to a new supplier, and start with small payments. When the first deliveries have arrived, you are happy with them, and you have built up a level of trust, then you can consider increasing the value of your orders and payments. The two safest ways to send money to China are PayPal and by credit card. Both of these systems offer you, the buyer, protection if your supplier turns out to be a fraud. As getting a credit card or PayPal account registered in China takes quite some effort, you can be reasonably sure that the supplier is legitimate. That said, many Chinese companies still do not accept Visa or MasterCard payments: UnionPay, the Chinese equivalent, is more widespread. You can also send payments via wire transfer from your bank, and this is the most common B2B payment option. It is generally cheaper than using PayPal or a credit card, but the downsides are that payments take up to five working days to arrive and the bank will not offer you payment protection. If you are ordering goods through Alibaba, the marketplace has its own escrow system. Alibaba will hold your payment until you have received your order, releasing it to the supplier only when you have confirmed receipt. This gives you peace of mind, and as a buyer you pay nothing for the service. Do not use Western Union, MoneyGram or other cash-based money transfer systems. These are the option of choice for scammers as no background checks are required. If your supplier will only accept payment by WU, look for a replacement supplier. Last but not least, don’t forget to calculate the cost of currency exchange rates and fees: your bank will usually offer you a better rate than PayPal. Whichever option you choose, you will need to factor the cost into your pricing structure. Although it does depend on the type of product you are importing, postage can make up a significant portion of your costs. In general, the more units you order, the lower the delivery cost per unit will be. Bulky, heavy or strangely shaped items cost more to ship than those that are small, light and easily packed. Sea freight will be cheaper than air freight or expedited services. These are your rules of thumb. When importing goods from China, you have four main shipping options. China’s equivalent to Royal Mail is called China Post, and it is a cost effective way to ship samples and other small orders, as well as documents. The downsides of using China Post is that deliveries can take up to six weeks to arrive, not all services can be tracked, and the service is not always reliable: Packages do sometimes disappear en route. All of the major international couriers, including DHL, TNT and FedEx, operate in China. They are very reliable, shipments can be tracked, and delivery times are as low as three days. Prices are more expensive than for the regular post. For large quantities of goods, air or sea freight will be more cost-effective. Air freight deliveries from China take five to 10 days, and are usually cost-effective for larger orders (e.g. those over 100 kg). Unlike with a courier, you will have to handle the import paperwork yourself (which can be time-consuming and complicated if you’re new to the game), or you can engage the services of a freight forwarder to do it for you. For large volume shipping, the most popular option is sea freight. Costs are usually calculated by the number of pallets or containers, and delivery times are 30 to 40 days. When you get shipping quotes for sea freight, but sure to check that they include unloading charges, as well as port, docking and storage fees, etc., or you might get a nasty shock when you finally receive the bill. Again, a freight forwarder can help you with this. A service like Woodland Global will let you combine your smaller shipments with those of other importers, sharing the cost among you and handling all of the paperwork on your behalf. As China is not part of the European Union, imports from the country are treated differently. You will need to make an import declaration to HMRC and pay import duty and VAT. If you do a lot of overseas business, it is worth registering with HMRC as an Authorised Economic Operator (AEO) because this entitles you to simplified customs procedures. You declare your imports to HMRC by submitting the Single Administrative Document (SAD), or C88, form. You need to include the correct customs clarifications codes and to submit the paperwork electronically using the Customs Handling of Import and Export Freight (CHIEF) system. If you are using a freight forwarder, they can submit this paperwork and make the declaration on your behalf. Most (though not all) goods incur import duty, and the rate for this will depend on the type of good and its country of origin. You will need to provide documentation confirming the country of origin. You can read about import tariffs, which are charged across the EU regardless of the place of import, on the Europa website. You will also have to pay VAT, including on the import duty. Imported goods will not normally be released by HMRC until you have paid all the charges due, although there are circumstances in which you can defer payment. The VAT (currently 20%) is paid directly to HMRC rather than to the vendor, and if you are VAT registered in the UK, you can then reclaim the VAT. Import relief is available for certain categories of goods (imports for charities, low-value samples, etc.). They are classed as the Community System of Duty Reliefs (CSDR). If you’re ready to start, browse SaleHoo today, and tomorrow you can be a master of intercontinental trade. This entry was posted in Education on March 27, 2015 by simonslade.